My name is Eva Best and I'm a swedish textile artist. I'm fascinated with color, light and texture and the endless possibilities that the textile material has. 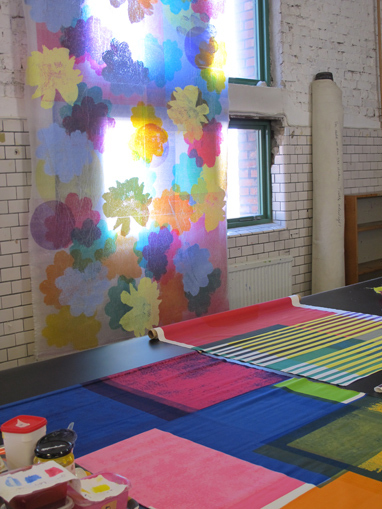 For more than 30 years I worked with mainly textile print but also as teacher and lecturer. During 2004-2008 I had a position as Senior Lecturer and Senior Faculty Administrator of Textile Design at The Swedish School of Textiles (Textilhögskolan i Borås) in Borås. The essence of my art is to create and capture a mood through the combination of color, light (natural and artificial) and materials to achieve a sense of mystery. the vivid colors, both the sudden and the subtle change in light and shadow, textures and structures. My ambition is to create textiles that is in the twilight-zone between natural and artificial. My goal is to create public spaces that will feel dynamic through the careful use and combination of material, texture, and color. Spaces that will change according to light or season. For public commissions I've also experimented with laminated glass in combination with paper, light-filter and textile. At the moment I'm experimenting with dyeing and different types of shibori to achieve textures, structures and lighteffects. Shibori was a technique that I first came in contact with in Chile 1999 and since then I been to Japan four times. I graduated from University College of Arts, Crafts and Design (Konstfackskolan) in Stockholm 1977 but today I live in Gothenburg, Sweden. Example of mystical light effects in nature that inspire me as an artist. 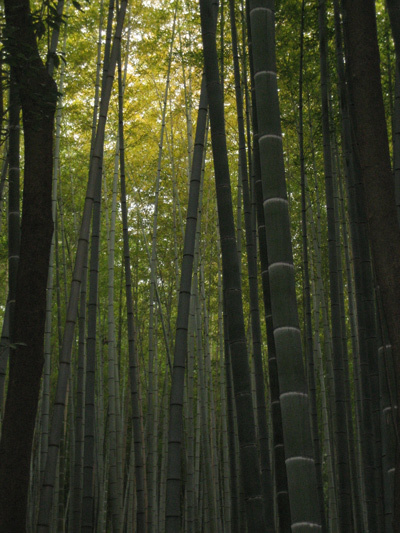 Bamboo forest in Arashiyama near Kyoto.